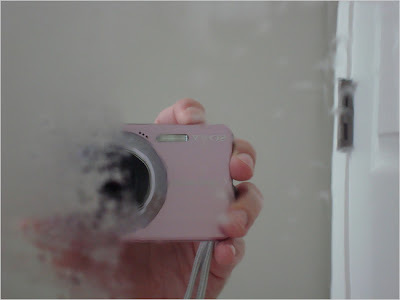 The right side of a mirror has a polymer coating that fights fogging — making the camera visible — and helps wash away oil. IMAGINE how great it would be if, after dinner, you could stack the greasy dishes, pots, pans and utensils in the sink and let plain old water rinse away the grime — with no help from detergents, and little or no scrubbing. Bye-bye, dishpan hands. Plastic coatings under development may someday bring that moment to pass, rendering dinnerware, bathroom mirrors and even factory equipment sparkling clean with water alone. The new materials may be appreciated not only by dish-washing family members, but also by environmentalists concerned about all of the soap that disappears down the drain. Detergents that end up in wastewater can cause algae to bloom, among other effects. “We want to cut soap out of the equation for cleanup,” said Jeffrey P. Youngblood, an associate professor of materials engineering at Purdue University in West Lafayette, Ind. In experiments, Dr. Youngblood and his colleagues attached the coatings chemically to the surface of glass. But he is now working on polymer additives for liquids that can be poured into a spray bottle, for example, and then used to clean mirrors and even eyeglasses or goggles. Scientists call the coatings self-cleaning because, once they are applied to a surface, they do much of the work of scrubbing away oily residue — like that from a greasy fingerprint. “The oil beads up and then the water moves under the oil, lifting it up so it floats away,” said Kirsten Genson, a postdoctoral researcher in Dr. Youngblood’s group. Getting the coating to do this is ingenious, said Michael F. Rubner, a professor of polymer materials science and engineering, and director of the Center for Materials Science and Engineering at the Massachusetts Institute of Technology. “Jeff figured out a way to have molecules on the surface that can rearrange themselves so they can self-clean, rejecting grease,” he said. University of California, Berkeley, graduate student Alistair Boettiger has amassed a beautiful collection of seashells, but not by combing the beach. He created them in his computer. A simple neural network model of seashell growth can generate realistic mollusk shells based on a simple principle discovered 140 years ago. He and George Oster, a UC Berkeley biophysicist, along with University of Pittsburgh mathematical neuroscientist Bard Ermentrout, have written a computer program that generates the complex patterns of seashells using simple principles developed to explain how the brain works and how memories are stored. The "neural net" model explains how mollusks build their seashells based on the finding that the mollusk's tongue-like mantle, which overlaps the edge of the growing shell, senses or "tastes" the calcium carbonate layer laid down the day before in order to generate a new layer. "The pattern on a seashell is the mollusk's memories," said Oster, a professor of environmental science, policy and management and of molecular and cell biology. "The shell is laid down in layers, so the mantle is sensing the history of the mollusk's 'thoughts' and extrapolating to the next layer, just like our brains project into the future." The studies may help neuroscientists understand how neural networks work in the brain and throughout the body, where neural nets cover our skin and all internal organs. 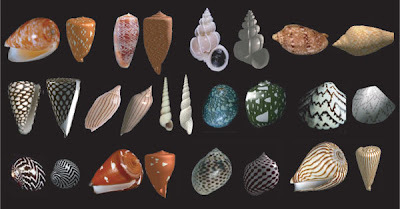 The researchers' computer model can reproduce a wide variety of shell shapes, colors and patterns. The researchers' computer model, published this week in the early online edition of the journal Proceedings of the National Academy of Sciences, reproduces nearly all known shell shapes, ranging from scallops to whelks, and nearly all the shell patterns that make beachcombing so popular. "The model gives us a remarkable ability to explain much of the dramatic diversity of both shape and pattern that we see in the natural world," Boettiger said. Jump to the link for great animations. A garden of (very small) earthly delights. Carbon nanotube arrays could be the basis of high-density energy storage devices and efficient chip cooling systems. 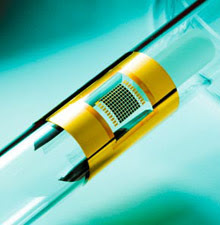 The performance of such devices, however, depends on the quality of the nanotubes and the precise structure of the array. So researchers including Anastasios John Hart, assistant professor of mechanical engineering at the University of Michigan, are honing techniques for growing carefully structured forests of high-quality carbon nanotubes. 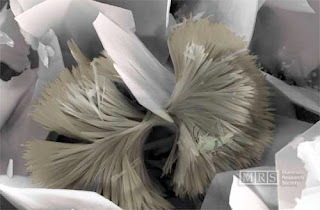 Hart made these images with a scanning electron microscope; all show vertically grown nanotubes. This is a composite of many images of carbon nanotubes grown on silicon wafers or in cavities etched in the wafers. Each stalklike structure is made up of thousands of nanotubes or more. The catalyst that starts off the nanotubes’ growth is visible under some of them as a dark, shadowlike spot. 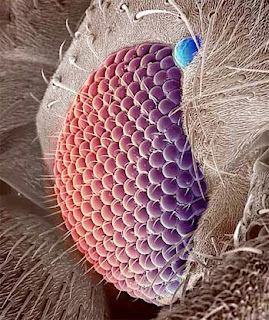 Structures that appear withered were dipped in liquid after they grew; as the liquid evaporated, the nanotubes shriveled. It is rare indeed that a justifiably "new" thin films deposition technique comes along. In my lifetime, I have not seen such a new technology, other than cathodic arc in the 1970s, that has the potential to significantly advance the field. BERKELEY, CA – In the electronics industry, thin metal films are deposited on silicon wafers with a sputter gun, which uses ionized argon gas to knock the metal atoms off a target. Scientists at the U.S. Department of Energy’s Lawrence Berkeley National Laboratory have now developed a powerful new kind of sputter process that can deposit high-quality metal films in complex, three-dimensional nanoscale patterns at a rate that by one important measure is orders of magnitude greater than typical systems. 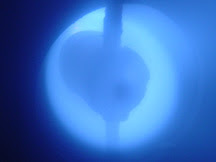 Called “self-sputtering far above the runaway threshold,” the new method “is an extraordinarily prolific generator of metal ions,” says Andre Anders, a senior scientist in Berkeley Lab’s Accelerator and Fusion Research Division, where he leads the Plasma Applications Group. Anders and his colleague Joakim Andersson, now at Uppsala University in Sweden, based their new "Self-Sputtering" method on the existing technique of High Power Impulse Magnetron Sputtering (HIPIMS). The new method uses much higher power in short pulses in order to keep the average power low enough to avoid overheating the sputtering target. Self-sputtering occurs when target atoms that have themselves been ionized return to the target to knock out yet more target atoms. Some of the sputtered atoms remain neutral and may fly straight to the substrate; others are ionized and may return to the target, producing yet more ions and yet more free electrons (secondary electrons). Once self-sputtering gets started, if enough new atoms get ionized and enough new ions return to the target, it becomes self-sustaining. The magnetic field lines near the target grow thick with spiraling electrons, the plasma is dominated by metal ions instead of gas, and the sheath becomes a potent source of a large flux of energetic electrons that produce still more “excess” plasma – the system runs away, until it finally reaches a new equilibrium at a much higher peak-power level than before. Beyond the semiconductor industry Anders sees a wide range of applications for the efficient new process, some of which may sound exotic. 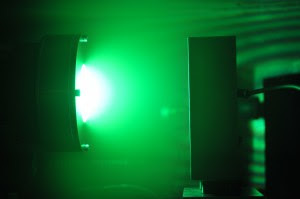 Because a sustained, self-sputtering plasma can operate in pure vacuum, the new method could also be used for coating materials in space, or even for ion thrusters whose fuel consists of a low-cost, noncombustible metal target, making it unnecessary to carry bottled gases or liquids into space. For now, Andersson and Anders’s demonstration of a 250-ampere current of copper ions to a substrate – far higher than any ever achieved in a magnetron system – stands as an achievement with the potential to revolutionize some of the semiconductor industry’s most important manufacturing processes. Experiments performed at Penn State, the first study of diamond friction convincingly supported by spectroscopy, looked at two of the main hypotheses posited for years as to why diamonds demonstrate such low friction and wear properties. Using a highly specialized technique know as photoelectron emission microscopy, or PEEM, the study reveals that this slippery behavior comes from passivation of atomic bonds at the diamond surface that were broken during sliding and not from the diamond turning into its more stable form, graphite. The bonds are passivated by dissociative adsorption of water molecules from the surrounding environment. 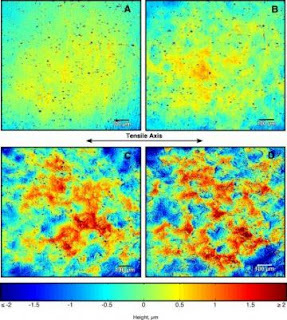 The researchers also found that friction increases dramatically if there is not enough water vapor in the environment. Some previous explanations for the source of diamond’s super low friction and wear assumed that the friction between sliding diamond surfaces imparted energy to the material, converting diamond into graphite, itself a lubricating material. However, until this study no detailed spectroscopic tests had ever been performed to determine the legitimacy of this hypothesis. 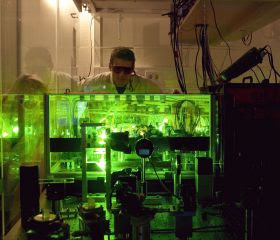 The PEEM instrument, part of the Advanced Light Source at Lawrence Berkeley National Laboratory, allowed the group to image and identify the chemical changes on the diamond surface that occurred during the sliding experiment. The team tested a thin film form of diamond known as ultrananocrystalline diamond and found super low friction (a friction coefficient ~0.01, which is more slippery than typical ice) and low wear, even in extremely dry conditions, (relative humidity ~1.0%). Using a microtribometer, a precise friction tester, and x-ray photoelectron emission microscopy, a spatially resolved x-ray spectroscopy technique, they examined wear tracks produced by sliding ultrananocrystalline diamond surfaces together at different relative humidities and loads. They found no detectable formation of graphite and just a small amount of carbon re-bonded from diamond to amorphous carbon. However, oxygen was present on the worn part of the surface, indicating that bonds broken during sliding were eventually passivated by the water molecules in the environment. If you were looking for a new way to make semiconducting diamond, you might not have thought of starting with tequila. But the potent spirit turns out to be excellent raw material. Diamond is normally an electrical insulator, but becomes a semiconductor when doped with the right impurities. Diamond film is tougher than silicon, so it could be useful for devices that must operate at high temperatures or under other harsh conditions. However, diamond films are expensive and difficult to make. They are produced by vaporising organic material, and then controlling how the carbon atoms crystallise onto a surface. The process works best if the material contains carbon and oxygen in roughly equal parts, as well as some hydrogen. Now a team of researchers led by Javier Morales of the University of Nueva Leon near Monterrey in Mexico have shown that ordinary tequila does the job nicely. They injected the heated vapour from 80-proof "tequila blanco" into a low-pressure chamber. Measurements confirmed that the carbon deposited on test surfaces had a diamond structure (www.arxiv.org/abs/0806.1485). "Some kinds of tequila seem naturally to have the right mix of atoms," says Morales. Other forms of alcohol have also worked, although it's not clear if this is faster or more reliable than using common precursors such as acetone. Ford Research Centre Aachen (Germany) is developing a thermally sprayed nano-coating using a Plasma Transferred Wire Arc (PTWA) process that could replace the heavier cast iron liners that provide the necessary wear resistance of cylinder bores in aluminum block engines. The thin, wear-resistant coating reduces weight and improves friction performance while delivering equal durability and reliability. Fuel consumption can be reduced by utilizing lightweight construction as well as by decreasing internal friction losses in the drive train. 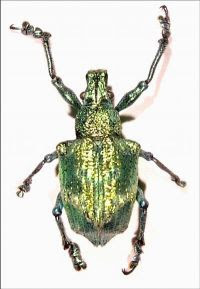 Important film properties including hardness, density and stoichiometry depend on the energy of the depositing species. Recent PVD advancements have involved increasing this energy through augmented process ionization. For example, unbalanced magnetron PVD increases the ionization of the sputtering gas through a special arrangement of the magnets - the source material isn't ionized, but the reactivity of the process is enhanced. If the the source material is fully ionized, the energy of virtually every particle impinging the growing film can be precisely controlled through substrate biasing to optimize film growth energetic conditions. This is especially important when depositing diamond like carbon films where high sp3 diamond is synthesized only in a narrow window of carbon ion energy around 100 eV. Cathodic arc PVD, offering high source material ionization, has long been where other PVD technologies strive to go, but suffers from macroparticles (MPs). 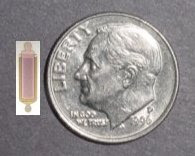 Filtered cathodic arc (FCA) eliminates MPs and generates a fully ionized metal or carbon plasma (ionizing some of the process gas as well) but typically suffers from low rates, complexity, large size and high cost. FCA holds great promise as a versatile PVD source for producing the highest performing thin films, but these limitations must first be overcome. A new kind of FCA has been developed by Fluxion (fluxion-inc.com). The Radial Arc source (shown above with a carbon plasma) may allow FCA technology to achieve on the coating center floor the success that it has so far achieved mainly in the laboratory. It accomplishes this by using a novel filter geometry that lends itself to uniform high rate deposition, compact size, simplicity and low cost (less than a magnetron, including power supplies). According to Fluxion's website, the geometry of the Radial Arc FCA can be visualized by imagining a ninety degree bent-tube filter rotated around one of its two ends where the axis of rotation is the large radius (the radius of the ninety degree bend), intersecting that end of the tube (see animation at http://fluxion-inc.com/index_OurTechnology.htm). The ions travel in a radial direction out from the cathode and are carried around curved trajectories through the large open area of the filter by strong magnetic and electric fields, then directed to the substrate in a uniform distribution. The much increased open area through the filter compared to a curvilinear filter, allows for greater ion throughput (and greater resulting deposition rate). The unique geometry of the Radial Arc also provides for strong magnetic fields in a compact design, also adding to ion transport efficiency. This visualization also indicates how MPs are filtered out by eliminating line-of-sight between the cathode and the substrate. In fact, the large and abrupt angle that MPs have to navigate to escape the filter further decreases the likelihood that MPs will reach the substrate. Cathodic-arc evaporation is a relatively simple PVD technology that produces a large flux of highly ionized vapor, valuable for depositing hard, dense, and well adhered industrial coatings. Cathodic-arc evaporation also produces macroparticles (MPs) that create defects in the films, relegating this technology to applications that are mostly insensitive to these defects, such as cutting tool coatings. Many methods have been tried over the years to filter out MPs. Although more or less successful at reducing MPs, all of these filtered cathodic-arc (FCA) sources also reduce the coating rate and area to such an extent that they are mostly relegated to the laboratory or to applications needing only extremely thin films over small areas. FCA technology is also typically quite complicated, bulky and expensive. The present convention in FCA, the curvilinear FCA, borrows from fusion research to bend the ions through a bent tube using a magnetic field. MPs, unlike the ions, are unaffected by the magnetic field and travel in straight lines, getting caught on the walls of the tube and are thereby prevented from reaching the part to be coated. The main problem, also present in fusion technology, is that the ions are imperfectly confined and mostly don’t make it out the filter, which explains the low deposition rates inherent to conventional FCA. Curvilinear filters are also complicated to operate and typically quite large, sticking some distance out of the side of the vacuum chamber. 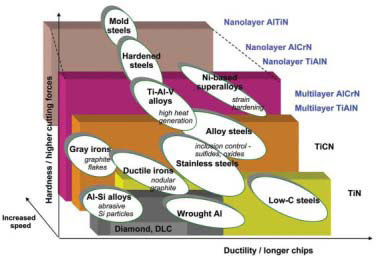 Low deposition rates over small areas (magnetic restoring can increase coating area, but adds even more complication), difficult operation, bulky size, and high cost have prevented wide-spread adoption of filtered-cathodic-arc (FCA) technology, despite the many advantages of ion deposition. Continuing our discussion of diamond thin films, we move on to PVD diamond-like-carbon (DLC) films. The main advantages of PVD DLC over CVD diamond are lower temperature deposition (room temperature versus 400C at best for CVD), lower cost typically and a benign environmental footprint. The best PVD DLC is deposited using cathodic arc and can be 3 times harder than sputtered DLC. Cathodic arc produces carbon ions which, with careful substrate bias control, allow the ideal energetic conditions for optimizing diamond, sp3 bonding in the growing film. 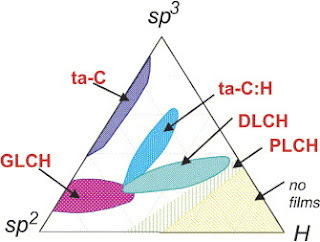 High sp3 bond ratio correlates with high hardness, up to about 90 GPa, or about the same hardness as CVD diamond (http://www.mrs.org/s_mrs/sec_subscribe.asp?CID=2574&DID=118953&action=detail). Some DLC films have been reported to be even harder than natural diamond; natural diamond nano-indentors can break during hardness measurements. The main drawback of PVD versus CVD diamond is the difficulty in growing thick films due to compressive stress. CVD "diamond-sheet" films can be 50 microns thick, compared to about 2 microns maximum for the best PVD DLC films. 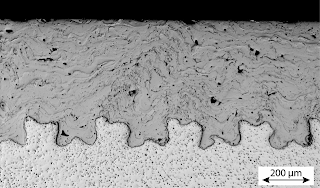 Numerous process modifications have been developed for the relief of stress, including post deposition annealing and substrate high voltage pulsing, but no one has yet brought a high sp3 DLC film to market that is as easy to widely implement as other more standard PVD films, such as titanium-nitride. Currently, three specific applications enabled by UNCD are under development. The first is wear-resistant, low friction coatings for mechanical components, including mechanical seals for fluid pumps. UNCD films as thin as 1 micron can change the performance of state-of-the-art silicon carbide seals and dramatically reduce the friction and wear at the seal face, increasing the lifetime of the pump for applications in chemical refineries, ethanol production, petroleum exploration and pharmaceutical processing. Since mechanical seals are found in most fluid pumps, it is estimated that reducing friction could save trillions of BTUs of energy annually. The same UNCD films can be used as a tribological coating in other industrial settings. The second important application area for UNCD is as a structural material in MEMS, including AFM probes, RF MEMS filters, oscillators and switches. These applications leverage the greatest number of diamond's superlative bulk and surface properties, since the performance and long-term stability of MEMS devices depend on the chemical stability of the exposed surface. For RF MEMS, such as resonators, UNCD acts like a tuning fork, vibrating at a set frequency that cannot vary with time, temperature or other environmental conditions. UNCD, like natural diamond, has a chemically inert, hydrophobic, low stiction surface that allows devices to function without the need for expensive die-level hermetic packaging. By leveraging the high acoustic velocity and surface stability of UNCD, devices for X- and Ka-band (2-20 GHz) wireless communication systems can be developed that allow for smaller, more energy efficient and less expensive RF front-ends for radios in mobile phones, base stations and military applications. UNCD-based atomic force microscopy (AFM) probes,· which are simple forms of MEMS devices, entered the market in late 2007. The third application area includes bio-implants and sensors, with the goal of creating functional devices that integrate both passive and active UNCD elements combining diamond's bio-inertness and bio-compatibility with the ability to covalently immobilize biomolecules on the surface (see Figure 5). Active electrochemical-based sensors using conductive UNCD thin films can enable implantable devices that conduct real-time monitoring of blood chemistry (e.g., glucose, alcohol, cholesterol). This advancement will enable a new generation of biosensors that work in real-time in devices that are both compact and light enough to wear as jewelry. Imagine the life-changing and potential life-saving impact of wearing a "watch" that automatically monitors and administers insulin continuously via a wireless link to an implanted UNCD-based biosensor. Such biomedical applications will take additional effort to overcome many fundamental technical challenges. However, diamond has finally come of age in a platform technology suitable for broad integration into numerous applications, and UNCD is being developed into commercially available products to turn the idea of diamond for use as an engineering material into a reality. See previous post for more on UNCD. Left: UNCD deposited onto a 200 mm silicon wafer shown on top of an uncoated wafer. 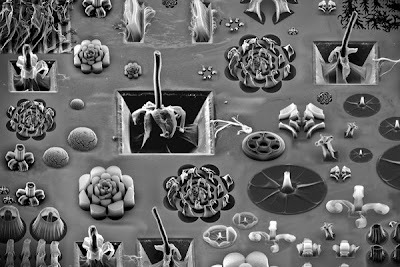 Right: High-resolution transmission electron microscopy image of UNCD thin film showing nano-sized grains. Thin film diamond chemical vapor deposition (CVD) technology was developed about 30 years ago. Despite advances over the years, CVD diamond has failed to meet lofty industry expectations based on the perfection of natural diamond. Instead of becoming the material of choice for demanding applications, thin film diamond has been commonly referred to as the material of last resort; engineers consider CVD diamond only if every other commercial material fails to do the job. In addition to cost, a number of technological problems, such as poor reproducibility, lack of mature deposition technology, relatively small deposition areas and poor film properties, have restricted the application of thin film diamond to cutting tools, heat sinks and other niche markets. Over the past two decades, research at Argonne National Laboratory led to the discovery of ultrananocrystalline diamond (UNCD®), a new technology that overcomes previous limitations related to thin film diamond. Advanced Diamond Technologies (ADT) was formed in 2003 to commercialize the ultrananocrystalline diamond technology developed at Argonne National Laboratory. The UNCD innovation is rooted in the chemistry used to synthesize the material. In the past, the growth chemistries used to synthesize pure CVD diamond resulted in rough films characterized by very large diamond grains (microns in size) and weak, low-angle grain boundaries. 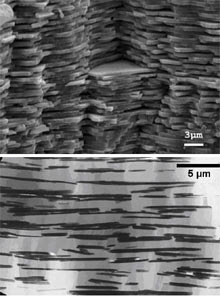 These large-grained, microcrystalline diamond (MCD) films were nearly impossible to integrate with other materials. Efforts to develop smoother films led to work on nanocrystalline diamond (NCD). Argonne researchers discovered that by adding argon gas, along with methane and hydrogen, to the vapor mixture, the radicals generated during growth changed and yielded diamond films consisting of approximately 5 nanometer grains without any graphitic phases (i.e., phase-pure, diamond-bonded carbon with high-energy, atomically abrupt grain boundaries). Positive displacement pumps use a mechanism to repeatedly expand a cavity, allow gases to flow in from the chamber, seal off the cavity, and exhaust it to the atmosphere. Examples include: piston pump, diaphragm pump, liquid-ring pump, sliding vane rotary pump, miltiple-vane rotary pump, rotary piston pump, rotary plunger pump and roots pump. Momentum transfer pumps, also called molecular pumps, use high speed jets of dense fluid or high speed rotating blades to knock gaseous molecules out of the chamber. Examples include: turbine pump, turbomolecular pump, liquid jet pump, vapor jet pump, diffusion pump and diffusion ejector pump. Entrapment pumps capture gases in a solid or absorbed state. These include: absorption pump, sublimation pump, sputter-ion pump amd cryopump. Positive displacement pumps are the most effective for low vacuums, but their high backstream flows through mechanical seals generally limit their usefulness in high vacuums. Momentum transfer pumps in series with positive displacement pumps are the most common configuration used to achieve high vacuums, but they stall at low vacuums. (Hence the need for a positive displacement pump in series.) Entrapment pumps can be added to reach ultrahigh vacuums, but they have a maximum operational time since they do not exhaust materials. They periodically saturate and require regeneration, which usually means bringing the system back up to higher pressures and temperatures. The available operational time is usually unacceptably short in low and high vacuums, thus limiting their use to ultrahigh vacuums. Pumps also differ in details like manufacturing tolerances, sealing material, pressure, flow, admission or no admission of oil vapor, service intervals, reliability, tolerance to dust, tolerance to chemicals, tolerance to liquids and vibration. 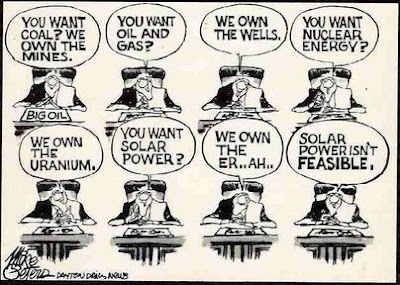 Thin film photovoltaics and batteries have reached a technological "tipping point". 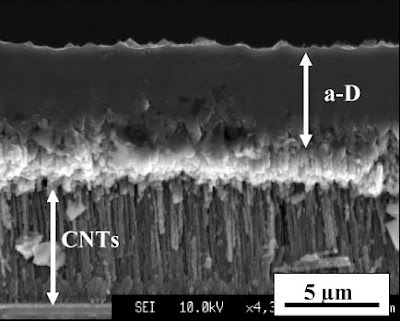 Thin film photovoltaics, using inorganic or organic compounds as active layers, represent the most promising technology for significantly beating the cost of conventional solar amorphous or crystalline silicon electrical systems. These technologies have the potential to provide low cost, ac mains solar power by using non-silicon solar cells and low cost plastic substrates. Traditional silicon cell manufacturers have been constrained by the shortage of silicon, high prices of silicon, its weight and fragility and the difficulty of processing it. See the table at right for more detail on the different types of thin film photovoltaic technologies including CIGS, DSSC and CdTe. These companies are doing extraordinary things with various thin films techniques, usually roll-to-roll (thin film vacuum coating or thin film ink-jet printing). The commercial acceptance of hard coatings for cutting tools is driven by demands on machining productivity, environmental mandates, and increased usage of new difficult-to-cut materials. Improved cutting performance is derived from synergies of machine tool system and cutting tool development. The latter strives for an optimized combination of tool material, hard coating and cutting edge geometry. The integration of hard coatings in cutting tools has reached a mature stage after more than three decades of proven performance and productivity benefits in industrial metal cutting. Chemical vapor deposition (CVD) was the first technology used, which advanced from single layer to current multilayer types combining TiC, TiN, TiCN and Al2O3. 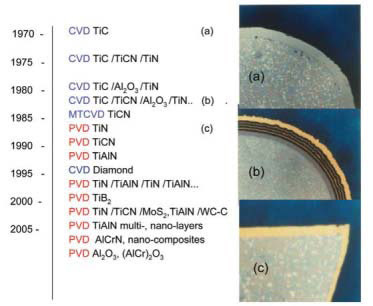 Some 25 years later it is evident that novel physical vapor deposition (PVD) compositions have surpassed the limited set of available CVD coatings. The relative economics are debatable but it is accepted that total life cycle consideration and environmental friendliness favor PVD technology. Succeeding generations of PVD hard coatings have become commercially available, notably TiCN, TiAlN and AlCrN, with demonstrated success in expanding areas of application. Intensive development of the superhard coatings diamond (diamond-like-carbon DLC) and cubic boron nitride (CBN) peaked in the 90’s. It seems that an insurmountable technical barrier – extremely high residual stress during deposition – has not been overcome and still prevents successful commercialization. In mulitlayer coatings, particular properties suitable to the cutting wear conditions can be engineered by creative combinations of coating layers. For example, AlCrN-TiSiN performs well in high speed carbide drilling of 1045 steel. Although AlCrN has low thermal conductivity, it has been shown that the multilayer construction with TiSiN which has high thermal conductivity effectively raises the composite conductivity, minimizing the heat concentration at the critical drill outer corner. This apparently accounts for better performance of certain multilayer coatings with carbide drills. 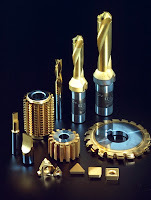 Another example is the TiAlN-WC/C coating designed for drills used for dry machining. The figure: coating selection guide based on field performance and commercial acceptance.